You very often find an artist/project that makes one hit and then disappears. The next project had 2 major hits in the trance community, 2 big tracks that defined early trance. So which track am I talking about? It’s ofcourse Cygnus X – The Orange Theme (Bervoets & De Goeij Remix). Cygnus X started out as a project with German producers Ralf Hildenbeutel & Matthias Hoffmann in early 1993. Matthias Hoffmann started out as an studio guitarist for artists like Quincy Jones and Sheila E but changed his musical interest after listening to dancemusic. Matthias started releasing his own material from 1988 and onwards. He was also one of the founders of the Eye Q-label together with Sven Väth and Heinz Roth. It was also around that time that he met Ralf Hildenbeutel for the first time as Ralf worked as a studio partner for Sven Väth. 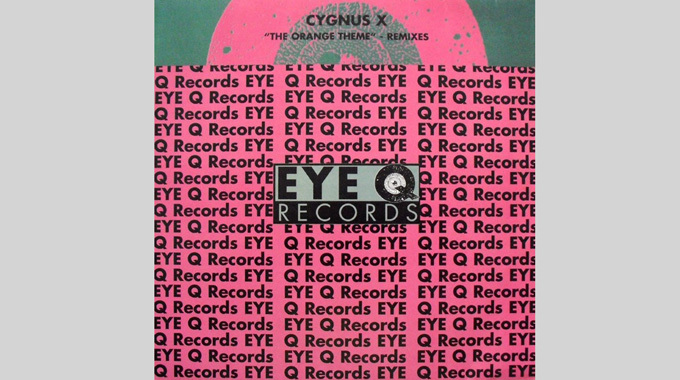 The Cygnus X-project took shape in early 1993 and released their first single, Superstring on Eye Q Records. The first releases were an EP with Superstring and Positron and later in 1994 you saw remixes from Oliver Lieb and Cygnus X themselves. The big breakthrough for Superstring came in 2000 when Rank 1 made their famous remix. Rank 1’s remix got them a top 40 hit and peaked at no 33 in the UK chart. Worth noticing is that Superstring (Rank 1 Remix) was the Sensation 2000 Theme. What I really like is that Rank 1 made the track warmer than the original which is abit cold and dry. Superstring was released on a total of 26 releases and licensed to labels like Xtravaganza and Bonzai just to name a few. Their next big track came in 1994 with The Orange Theme. By this time Ralf has already left the project. The Orange Theme was based on the thememusic to the movie A Clockwork Orange by Walther Carlos. The original track was pretty huge but it was first in 1999 with remixes by Ferry Corsten, Solarstone, Bervoets & De Goeij (a.k.a Rank 1) and Man With No Name that the major breakthrough came. The new remixes also gave Cygnus X another chart position, this time at no 43 in the UK chart. I just love how the track builds and builds and then a major breakdown. Major Goosebumps! Cygnus X version has been released on a total of 31 versions and licensed labels like Hooj, ID&T and Bonzai just to name a few. In 1995 Cygnus X released their only album, Hypermetrical. A fun fact is that the album doesn’t contain Superstring at all. The only track produced with Ralf on the record is Turn Around. The album also spawned a few singles like Kinderlied (1995), Turn Around (1995), Synchronism (1995), Hypermetrical (1996) and Positron (2002) but none of the were the range of the ever so popular Superstring and The Orange Theme. Cygnus X also released Collected Works in 2003 with all the hits to date (including Superstring) plus remixes from Ferry Corsten, Armin Van Buuren, Marco V, Rank 1 and Future Breeze just to name a few. For me, the 1999/2000-remixes of Superstring and The Orange Theme were 2 tracks that defined trance when I first started listening on a major scale. I was more into house at the end of the 90’s. What fascinated me back then was the major effort the remixes put on their work. When you saw a track from Cygnus X you knew that cool remixes would follow. And most often, it did!